I will give you the Maserati Certificates in which it is specified that it is a car matching number. 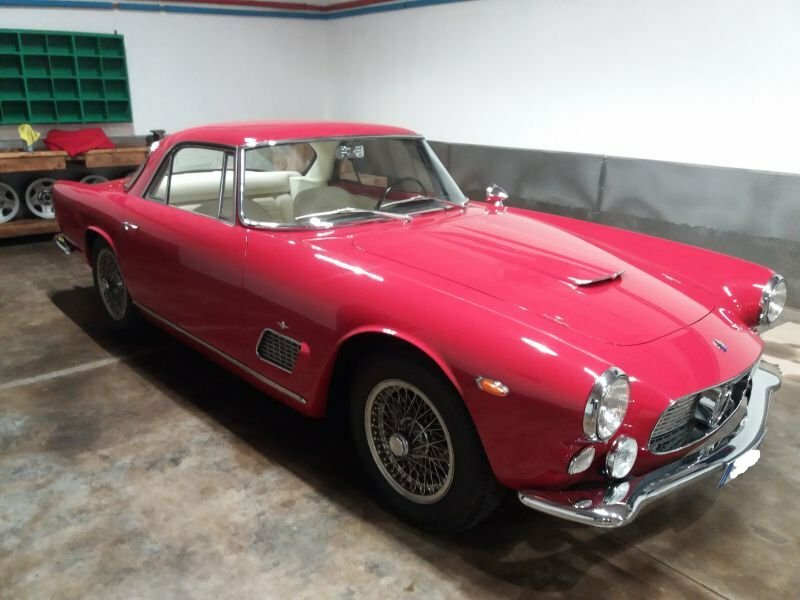 - \What I know of my Maserati 3500 GTI is that it had an American past and it belonged to an American rock star. - What is very particular, as I have already said that , it is the fact that when I bought it I had the carburetors. 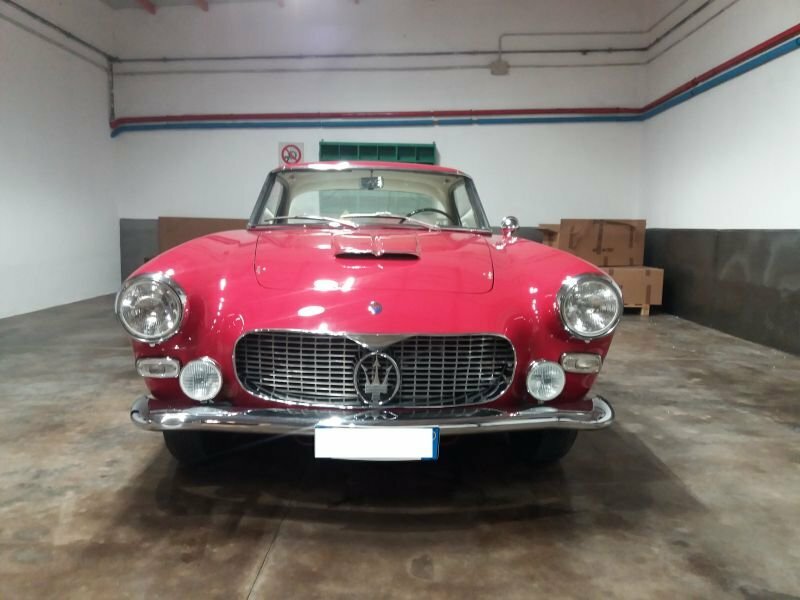 - Through a real miracle .. a year and a half, we managed (thanks to the original Maserati drawings and the Bigazzi stable near Florence) to get it back to the injection version !! - So mine is very special. - Regarding the red restored Alfa Romeo 2000 touring spider, I can tell you that this too had an American past ... it then returned to Italy in Florence in 1995 and remained in a garage until 2015. Then I did a COMPLETE restoration and documented by a book of many photos. restorations like what I did do not exist around. The Maserati 3500 GT (Tipo 101) and the Maserati 3500 GT Convertibile (Tipo 101/C) are 2-door coupé and convertible grand tourers made by Italian car manufacturer Maserati between 1957 and 1964. It was a seminal vehicle for Maserati as the company's first successful attempt at the Gran Turismo market and series production. Production of the 3500 GT started in late 1957; eighteen cars were built that year, the first handful leaving the factory before Christmas. 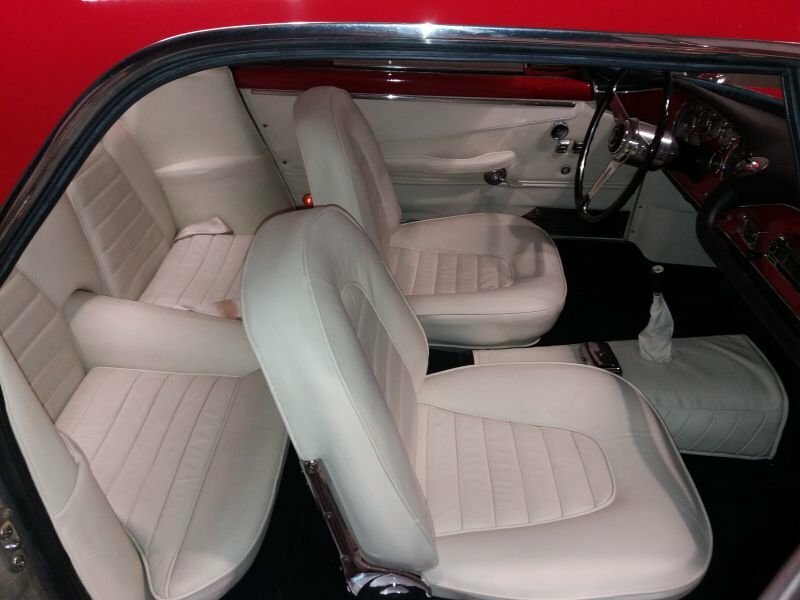 All 3500 GTs had leather interior and Jaeger instruments. A first Touring convertible prototype was shown at the 1958 Turin Motor Show. But it was a proposal by Carrozzeria Vignale (designed by Michelotti) shown at the 1959 Salon de l'Auto in Paris that went into production as 3500 GT Convertibile. 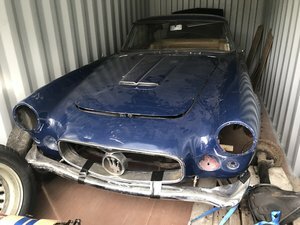 The Convertibile did not feature Touring's Superleggera construction, but rather a steel body with aluminium bonnet, boot lid and optional hard top; it was also built on an 10 cm (3.9 in) shorter wheelbase, and weighed 1,380 kg (3,042 lb). Front disc brakes and limited slip differential became optional in 1959, and were standardized in 1960; rear discs became standard in 1962. The 3500 GTi was introduced at the 1960 Salon International de l'Auto, and by the following year became the first fuel-injected Italian production car. It had a Lucas mechanical fuel injection, and developed 235 PS (173 kW; 232 bhp). 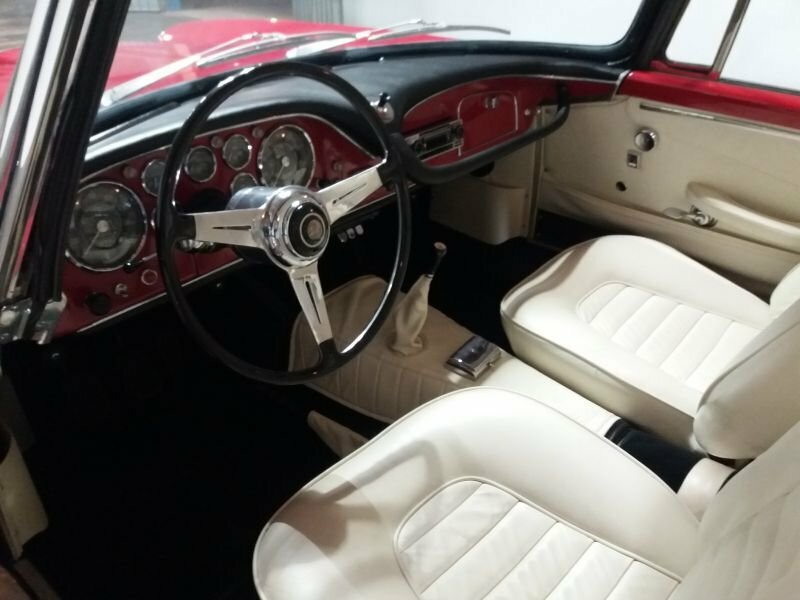 The 5-speed gearbox which had been an available option since 1960 was made standard. The body had a lowered roofline and became somewhat longer; minor outward changes appeared as well (new grille, rear lights, vent windows). From 1961 convertible 3500s for export markets were named 3500 GT Spyder and GTi Spyder. In 1959, the V8-engined Maserati 5000 GT was introduced using the chassis of the 3500 GT. Also based on the 3500 GT's mechanicals was the Maserati Sebring 2+2 coupé, which entered production in 1962. In total 2,226 3500 GT coupés and convertibles were built between 1957 and 1964. The first year (1958) 119 cars were sold, while 1961 was the best-selling year, totalling 500. All together, 245 Vignale convertibles and nearly 2000 coupés were manufactured, of these, 1981 being Touring coupés, the rest were bodied by other coachbuilders: Carrozzeria Allemano (four coupés, including the 1957 prototype), Zagato (one coupe, 1957), Carrozzeria Boneschi (1962 Turin Motor Show and 1963 Geneva Motor Show ), Pietro Frua (two or three coupés, one spider) and Bertone (one coupé, 1959 Turin Motor Show). The last was a coupé by Moretti (1966 Geneva Motor Show). 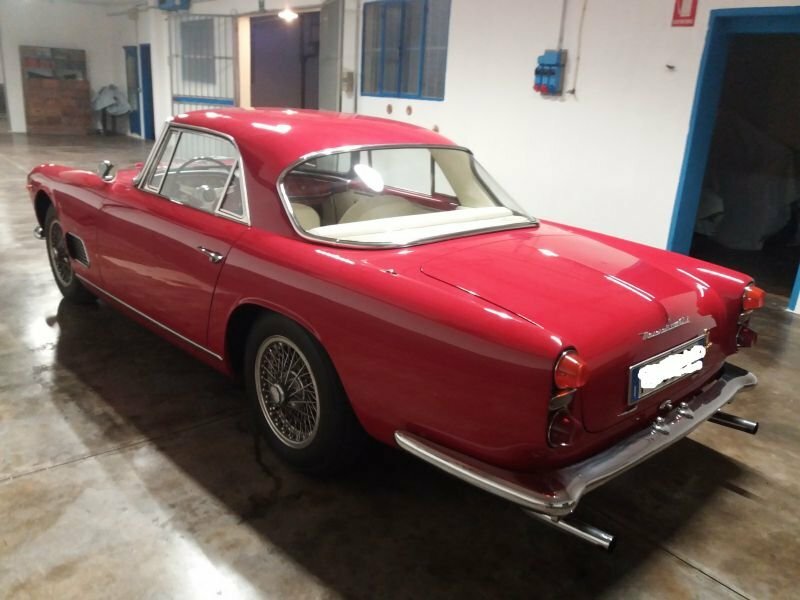 The 3500 GT was built on a tube platform chassis, constructed from tubes of square, round or elliptic section of Superleggera construction. Front suspension was by double wishbones coil springs, hydraulic dampers and an anti-roll bar; at the rear there was a Salisbury solid axle on semi-elliptic leaf springs, with hydraulic dampers an anti-roll bar and a longitudinal torque arm. Steering was of the recirculating ball type. The hydraulic brakes were initially Girling 12" finned drum brakes front and rear; disc brakes were later introduced on the front wheels, and finally on all four. The wheels where 16" steel disc wheels with 6.5" Pirelli Cinturato radial ply tyres. Borrani knock-off wire wheels were optional, as well as wider 185x16" radial tyres. 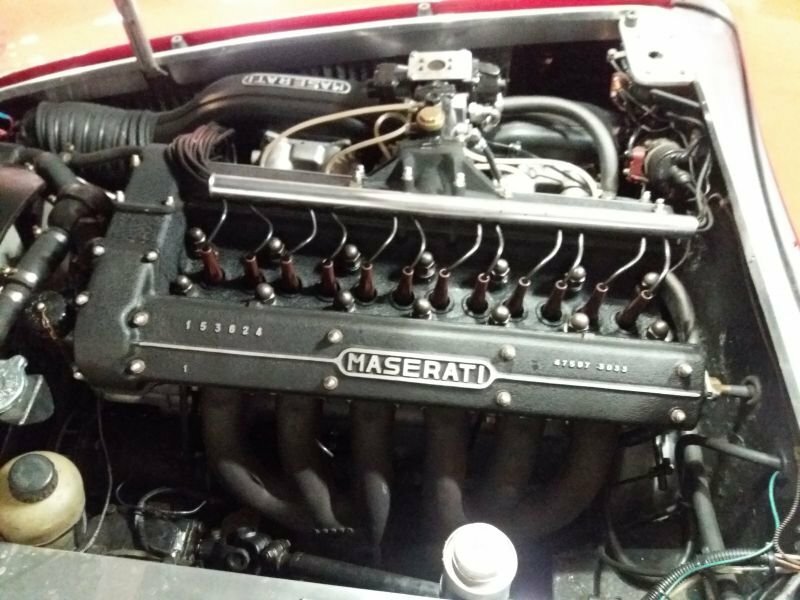 The Maserati 350S-derived DOHC, 12-valve straight-six engine had a bore and stroke of 86 mm × 100 mm (3.4 in × 3.9 in) and displaced 3,485.29 cc (213 cu in). The engine block was aluminium, with cast iron cylinder sleeves; cylinder heads were aluminium, with cast iron valve seats and hemispherical combustion chambers. It was equipped with a mechanical Marelli ignition, dual ignition and dual fuel pump. It developed 220 PS (162 kW; 217 bhp) at 5,500 rpm when fitted with three twin-choke 42 DCOE Weber carburetor, or 235 PS (173 kW; 232 bhp) at 5,500 rpm with Lucas mechanical fuel injection. The transmission was a 4-speed ZF S4-17 gearbox, later replaced by a ZF S5-17 5-speed, and used an hydraulically actuated Borg & Beck single-plate dry clutch. All inspections welcome... We ship worldwide.